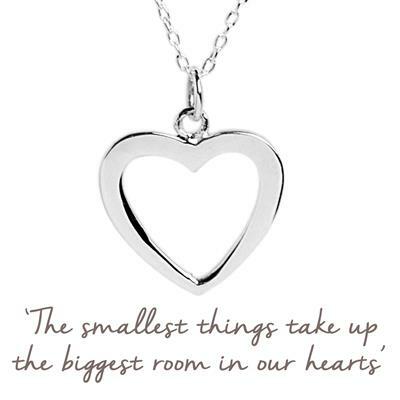 This open heart necklace represents the bond between mother and child and the room in your heart for love..
Mantras are powerful words or phrases, designed to make a positive impact on the way that we feel. Repeating a mantra inspires and uplifts us; it reassures and comforts us; it motivates and energises us. Most powerfully of all, it can bring self-belief. Hold onto your piece of jewellery, and repeat its mantra to yourself, when you need motivation or inspiration.